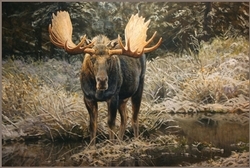 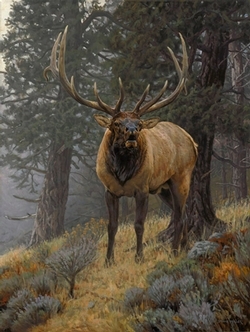 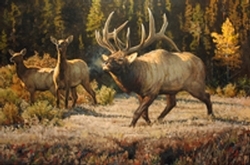 619 - September Moose / Canvas Print 30"x45"
521 - Foggy Mountain Challenge / Canvas Print / 30"x40"
The 2011 Rocky Mountain Elk Foundation "Print of the Year"
30"x40" Canvas Print - $1250 / Edition 100. 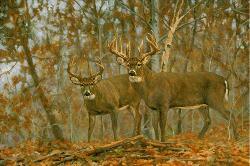 These big canvas giclee prints are the same size as the original oil painting. 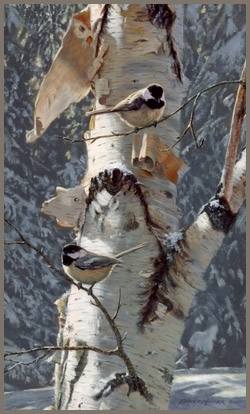 518 - Spring Chickens / Canvas Print 16"x34"
617 - The Challenger / Canvas Print / 24"32"
New Release: The Challenger Canvas Print / Edition 300 New Size 24"x32"
Back by popular demand, smaller than sold-out 30x40 Classic Edition. 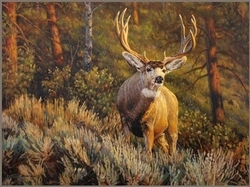 This canvas print is very impressive as well. 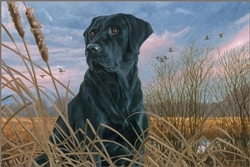 And this website is the only place to get one! 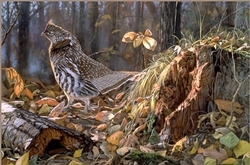 600 - Autumn Magic /16"x22"
Good prints of grouse are hard to find and this is a good one. 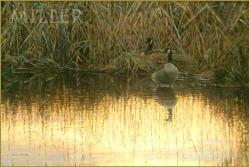 16x24 paper print. 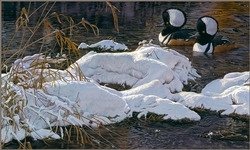 One of my all time favorite paintings. 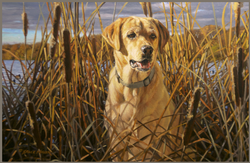 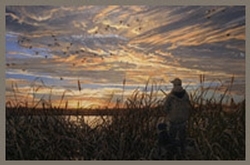 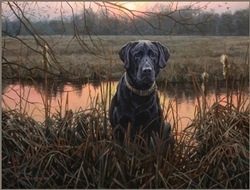 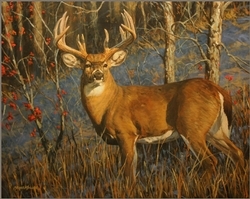 This painting was selected as the "Ducks Unlimited Print of the Year" 1999, making me Artist of the Year.